I was eating about 1400 calories (Low carb) but would binge every 2 days. The binges would normal go on for a few days. This was leading to fat gain. I loved having huge meals. I loved lifting heavy for low reps. I loved only lifting 3 days a week. The most significant change is my approach to training. I now understand you do not have to train 6 days a week completing 25-30 sets per session! I have a much healthier relationship with food. Kinobody has shown me that I can eat the foods I enjoy and still get in shape rather than being restricted to bland foods normally associated with bodybuilding. I no longer binge for days as I can have ‘cheat meals’ whenever I like. My biggest piece of advice would be to stick to the programme and jump back on the horse if you fall off. My journey was not smooth at all. It took a while to ditch the ‘binging’ mentality so there were a few bumps along the road. Each time I ‘failed’ I would contemplate trying a new programme or looking for a new answer, however, I just got straight back on the plan and the results kept coming. One day of bad eating won’t ruin your diet/body just as one day of clean eating won’t fix it. The Project Beach Ripped page was fantastic. Other people’s stories kept me motivated and it was a great resource for advice etc. It’s also nice to know your not the only one trying to change your lifestyle/physique! 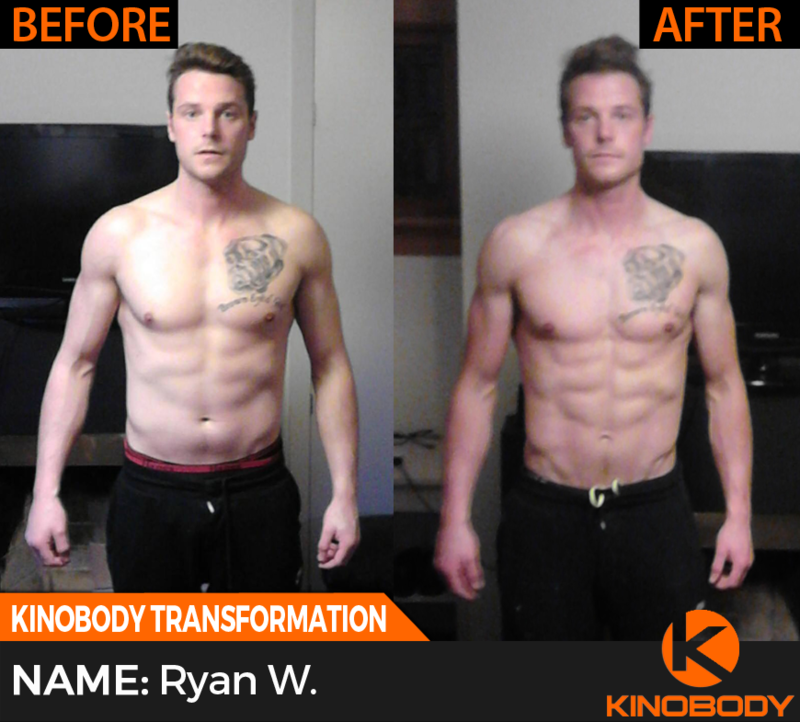 Click Here to read more about the Warrior Shredding Program that Alex used to achieve such dramatic results.